While my car is being repaired, I’ve been trying to be present to help when I can. 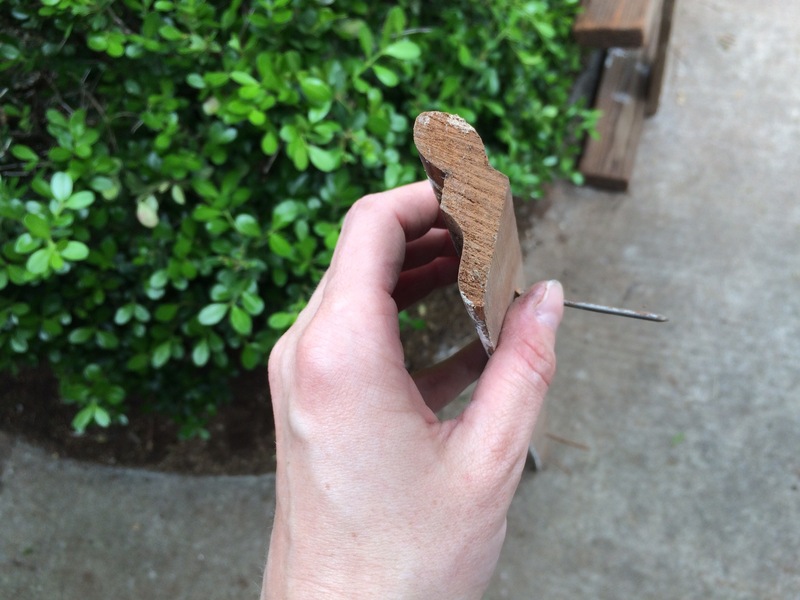 Mostly I’m good as an extra set of hands, especially when those extra hands need to squeeze into tight spaces to retrieve dropped sockets or connect inconvenient plugs. Anyway, so to stay close to the action I’ve been cleaning and organizing the garage. It’s not my favorite task, but Sunday while I was pulling stuff down from the scary loft space above the scary garage apartment I made an awesome discovery. 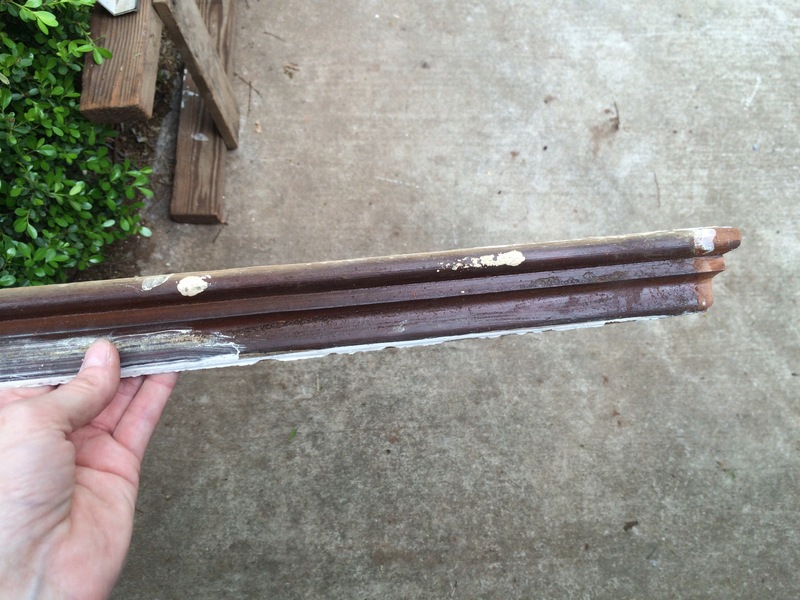 I found a cache of original picture rail moulding! It’s not in great condition, but it’s certainly not a disaster either. 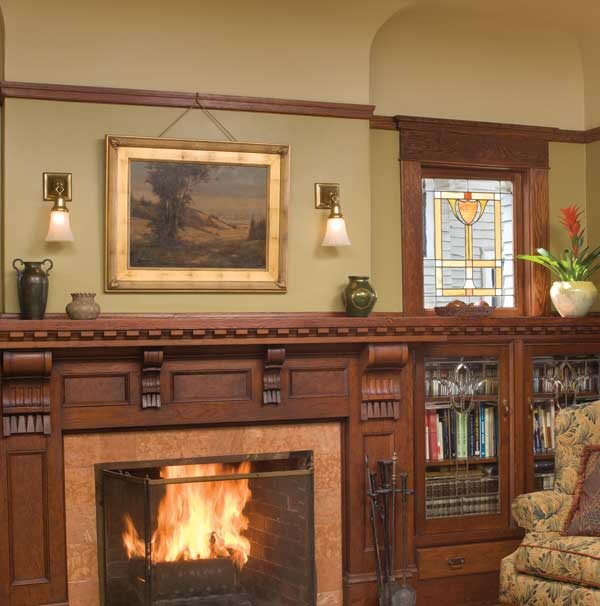 It’s the same amazing clear mahogany (meaning it’s free of knots or flaws) as the rest of the first-floor trim and has very few cracks. Can you imagine the cost to trim a house, even just one level, in that today?! Thankfully it should be pretty easy to strip and restore. 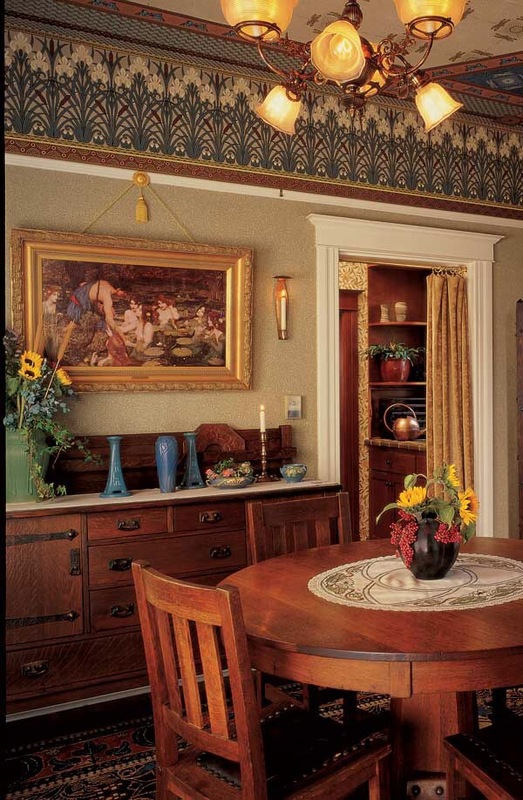 Picture rail moulding is used as — or with — crown moulding and is installed with at least a small gap between it and the ceiling, though sometimes it’s placed a foot or more below the ceiling. 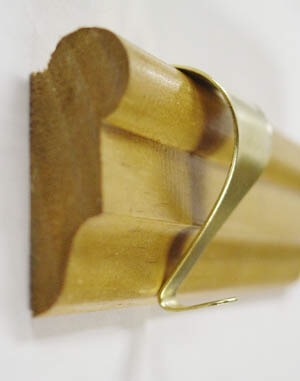 The gap provides a space to place hooks from which you can hang paintings or other wall art without putting holes in the plaster (which doesn’t take kindly to holes, especially from nails that can severely damage an entire wall with just a few whacks of a hammer). It’s really quite ingenious. The source for the second and third photos below gives a pretty good explanation and history. After a cursory assessment I think it might be the pieces for the sun room, but I’ll be happy no matter where it goes.